The reaches of Lauren’s COS expand out like the ripples from a stone dropped in the center of a pond. As goes the story of how environmental photographer Mike Garner came to volunteer as camp day photographer for LFG. Case Garner, a 2013 Lafayette College graduate, played football at LC from 2009 - 2012 , and volunteered alongside his teammates to assist at the PA camp. 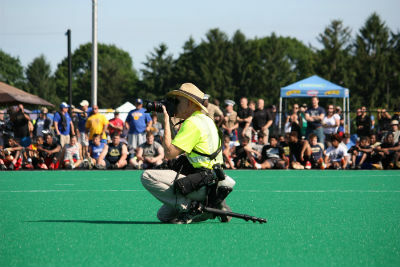 After learning of Case’s involvement at the camp, his father Mike contacted us at LFG, graciously volunteering his talents as a photographer to capture the action on camp day. You can enjoy many of his beautiful shots on our web site, as well as in our newsletters and press releases. We are extremely grateful to Mike for his willingness to share his gift with us. Mike is a midwesterner, who has lived with his family in New England since 1977. He is a trained and practiced architect and woodworker and self taught in film and digital photography.